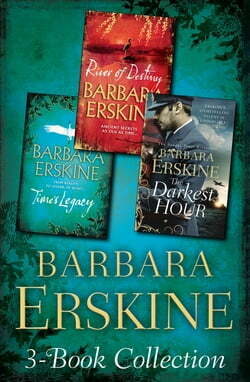 Three gripping full-length novels from the Sunday Times bestselling author of Lady of Hay. In Time's Legacy, Anglican Curate, Abi Rutherford, is forced to flee her parish in search of spiritual sanctuary when she is accused of witchcraft. She soon finds herself experiencing violent visions... read more of a buried two thousand year-old history - one that could plunge her very life into unspeakable peril. Seventy years later, and recently widowed art historian Lucy is trying to put the pieces of her life back together, accidentally stirring up a hornet's nest of history which has been deliberately obliterated. Lucy finds herself in danger from people past and present who have no intention of letting an untold truth ever surface.